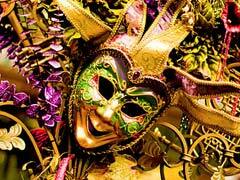 Come on down for some cajun southern cookin’, cypress swamps and who can forget the legendary Mardi Gras celebration? With centuries worth of history, riverboats on the mighty Mississippi and the cool jazz vibe it can only mean one thing… you’re headed to Louisiana. No Louisiana travel guide can ignore the state’s largest city New Orleans where re-building after hurricane Katrina is still on-going. 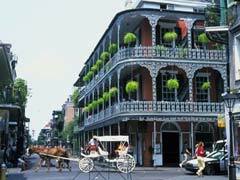 The city is home to famous streets like Bourbon, Frenchman and Canal in a historic French Quarter, where there is always something going on for tourists and locals alike to partake in. The Mardi Gras carnival is a major Louisiana tourist attraction that allows visitors to celebrate the last few days before lent in style. Parades, floats, costumes, beads and the traditional colors of purple, green and gold are all part of the fun. If you are not in the city during the annual festivities, you can still take part in them with a tour of Mardi Gras World. This large warehouse is home to floats and costumes and a place where workers are busy making new and exciting floats and costumes for the upcoming celebrations. Frenchmen Street offers a lively addition to your Louisiana vacation as a colorful street alive with the sounds of jazz from every corner. Local characters, plenty of bars and restaurants and cheap drinks keep the fun going all day long. The Canal Street/Algiers Ferry takes visitors along the mighty Mississippi to Algiers allowing for beautiful views of the cityscape as well as wildlife like pelicans while on this nifty sightseeing trip. For a more family-friendly day out in the city, how about visiting the Audubon Aquarium of the Americas? Here you can see fish and other marine life from the Caribbean, Gulf of Mexico, Amazon and the Mississippi all under one roof. An IMAX theatre, zoo and the famous white alligator are also part of the fun. Perhaps one of the most well known landmarks in the city is the St. Louis Cathedral, located in the French Quarter. This is the oldest continuously used church in the United States and offers visitors lovely photo opportunities inside and out. New Orleans is also the gateway for many destinations as a cruise ship port. Travelers on a Louisiana vacation can take advantage of the city’s location on the water and travel to places like Mexico and the Caribbean on most major cruise ship lines. One of the most interesting of Louisiana’s tourist attractions is the Bayou region where visitors can take swamp tours to see the indigenous wildlife and plants that make the area famous. Some tours take visitors through parts of the Jean Lafitte National Historical Park where guides point out alligator nesting grounds while teaching about the history and mystery of the area, and don’t forget to keep a look out for snakes, raccoons and other wildlife. 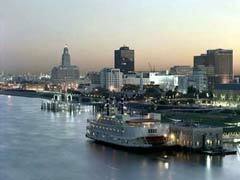 East of New Orleans is the city of Baton Rouge, the capital of the state. Here a Louisiana vacation can take you back in time at the LSU Rural Life Museum, a 27 building complex that is home to tools, furniture, artifacts and a 19th century plantation that details the life of the early settlers. The Blue Bayou Waterpark is a great Louisiana tourist attraction for families to enjoy as it boasts a wave pool, water slides and many other water rides. When you’ve had enough fun in the water you can simply go next door to Dixie Landing, a dry amusement park where the fun can continue for as long as you wish. In addition to the many Riverboat Casinos, Baton Rouge is also home to many plantation homes. See what life was like on a cotton, sugar cane or rice plantation on a guided tour of the grounds, some of which offer accommodation as well in beautiful B&B’s. The Myrtles Plantation is one such complex where antiques, tapestries, chandeliers and gold leaf French furniture can be found. It is one of America’s most haunted homes and offers both regular and mystery tours of the home and grounds. If touring the swamp by boat tour isn’t for you, you take in the Bluebonnet Swamp Nature Center where the swamp is easily traversed via a boardwalk. A visitor center and the chance to see turtles, fish, alligators and birds can be a great stop on your Louisiana vacation. 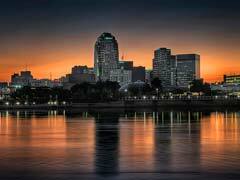 For travelers visiting the northwest of the state is the lovely city of Shreveport. The city is home to the Louisiana tourist attraction that is also a National Historic Site, the Stage of Stars housed in the Municipal Auditorium. The adjoining museum pays tribute to Elvis, Hank Williams, Sr., Johnny Cash and others and shows instruments, costumes and rare photos of the stars that played there during their heydays. The Louisiana State Exhibit Museum with its exterior frescoes, interior dioramas and Native American art, the Sci-Port, a science museum, and the American Rose Center all make great Louisiana tourist attractions in the city that is not far from the Texas border. Your Louisiana vacation can explore all that makes the state so popular, its French, Creole and Spanish influences, grand scale parties or historical sites, not to mention the food and music. Come and enjoy her soon.